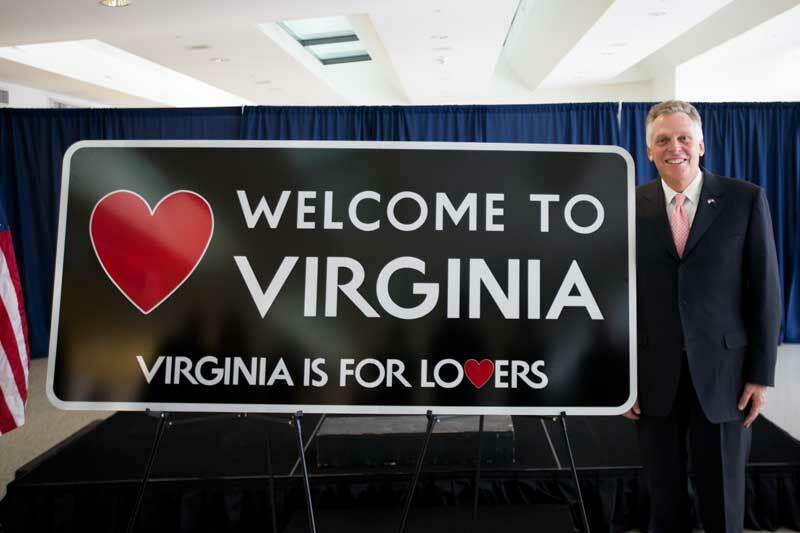 RICHMOND – On Jan. 6, Governor Terry McAuliffe unveiled a new “Welcome to Virginia” sign at Dulles International Airport (IAD), welcoming travelers to the Commonwealth of Virginia. Dulles, located 26 miles west of downtown Washington, D.C. in Loudoun and Fairfax Counties, is a major hub for domestic and international travel, servicing about 22 million travelers a year traveling to 83 nonstop domestic and 50 nonstop international destinations. The new signage is the first of its kind at IAD. Governor McAuliffe also announced that the Virginia Department of Transportation (VDOT) plans to gradually roll out a series of newly designed “Welcome to Virginia” signs at all 105 interstate gateways to the Commonwealth. The last design of the sign, depicting a large cardinal perched on a flowering dogwood, was rolled out in 2006, and many of these signs have reached the end of their usable lives due to visibility at night. The welcome signs should all be updated by the July 4th holiday. The design of the signs at Dulles International Airport and interstate gateways are consistent with Virginia Tourism Corporation’s (VTC) “Virginia is for Lovers” branding and logo, and will welcome travelers with a clean, modern aesthetic. VTC provided the design of the signs; VDOT will facilitate the production and installation. 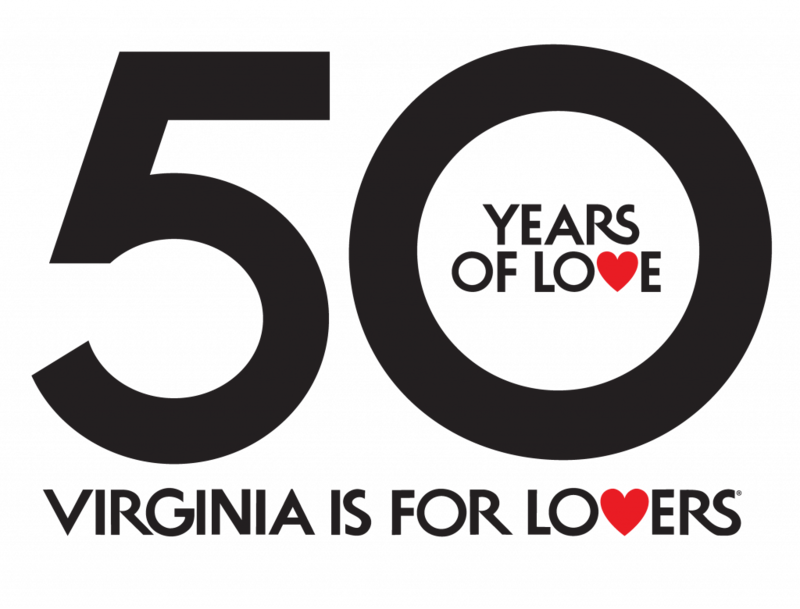 The iconic “Virginia is for Lovers” slogan celebrated its 45th anniversary in 2014. The slogan was inducted into the Madison Avenue Advertising Walk of Fame in 2009, and was recognized by Forbes magazine as one of the top ten advertising campaigns of all time. Tourism is an instant revenue generator in Virginia. Last year, visitors spent $21.5 billion, which supported 213,000 jobs and contributed $1.42 billion in local and state taxes. To learn more about visiting Virginia, go to www.virginia.org.